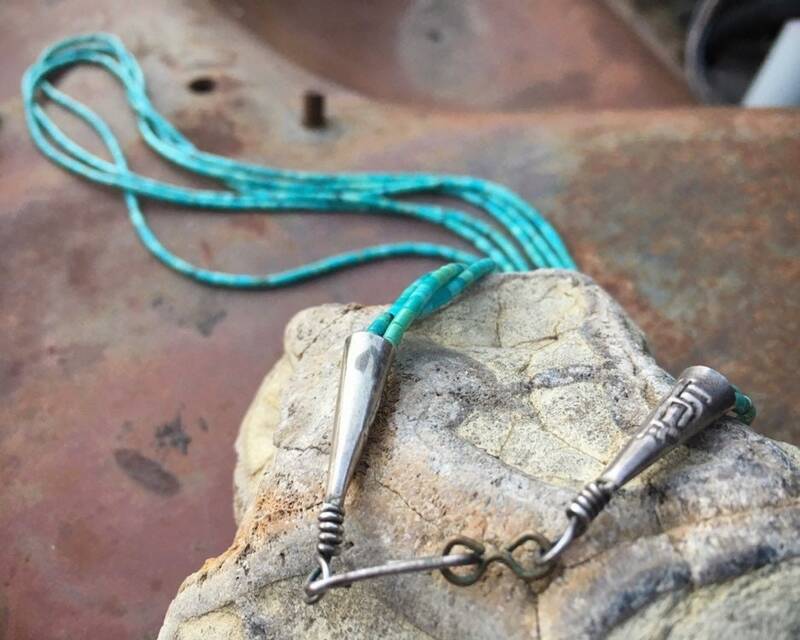 Here we have a hand-crafted three-strand vintage turquoise heishi necklace, the silver cones all hand made with traditional Native American motifs that I believe indicate the artist's signature. 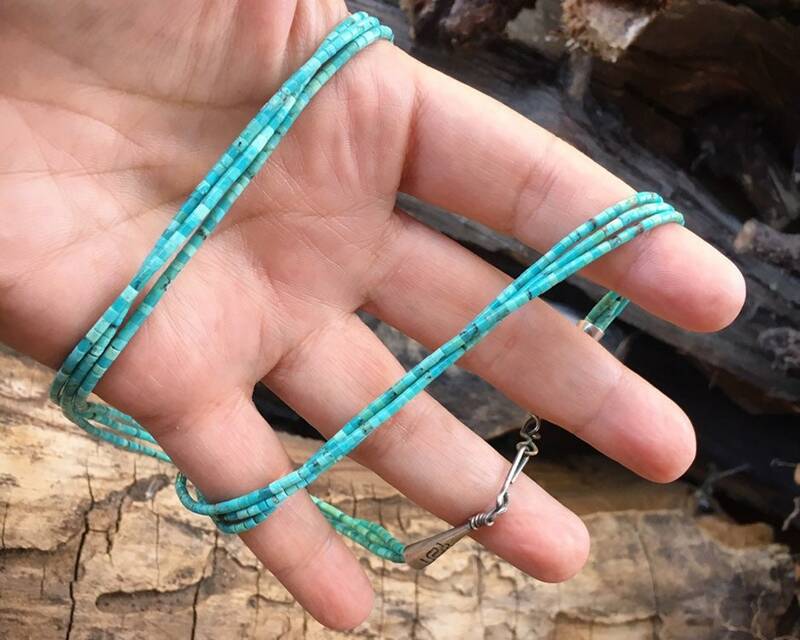 I used to find quite a few of these strands, but it has been a couple of years, as no one makes this style of tiny turquoise heishi any longer, not by hand anyway. 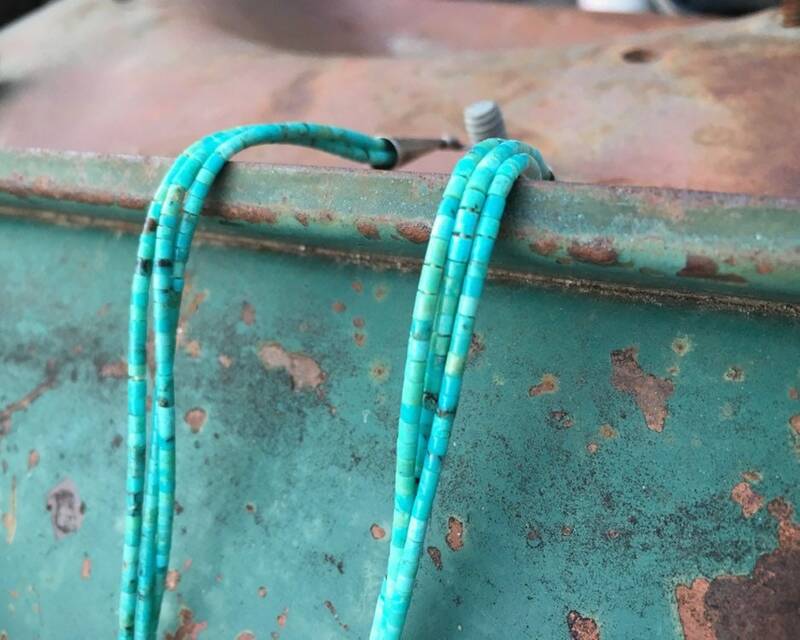 This is the oldest piece I've found, and with the most beautiful turquoise as well, vibrant, matrixed, and not at all fake looking like the kind you come across today. The beads are light and uniform. 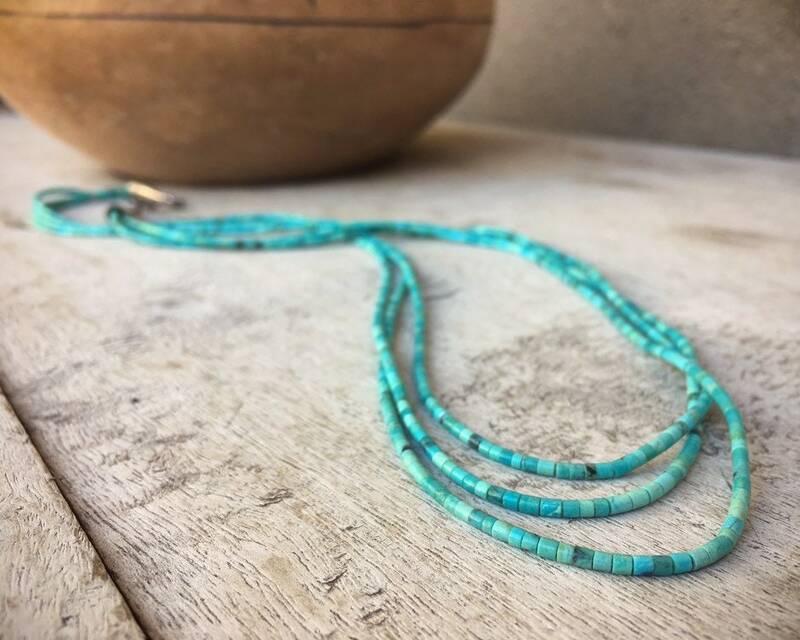 Creating heishi beads as these is quite challenging. 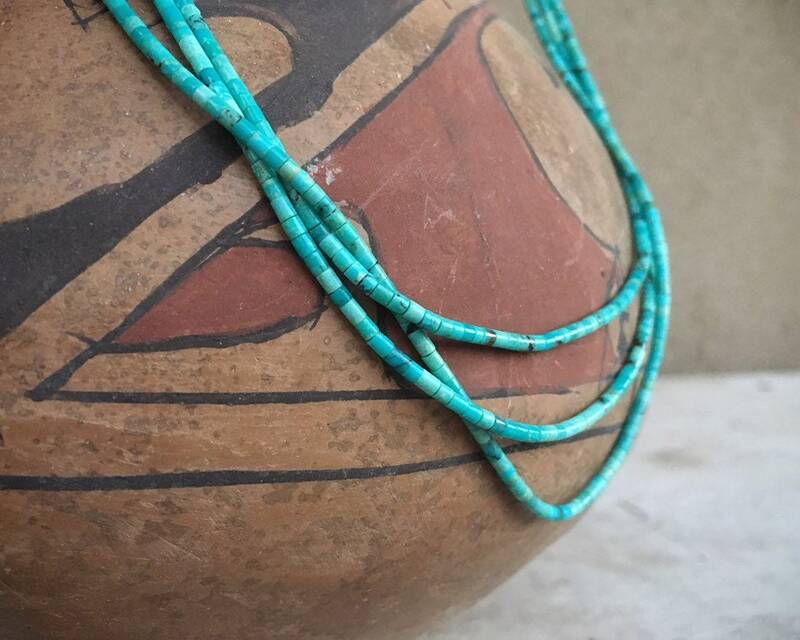 From the Santa Fe Collectors Guide: "A string of good heishi will have a uniform consistency. 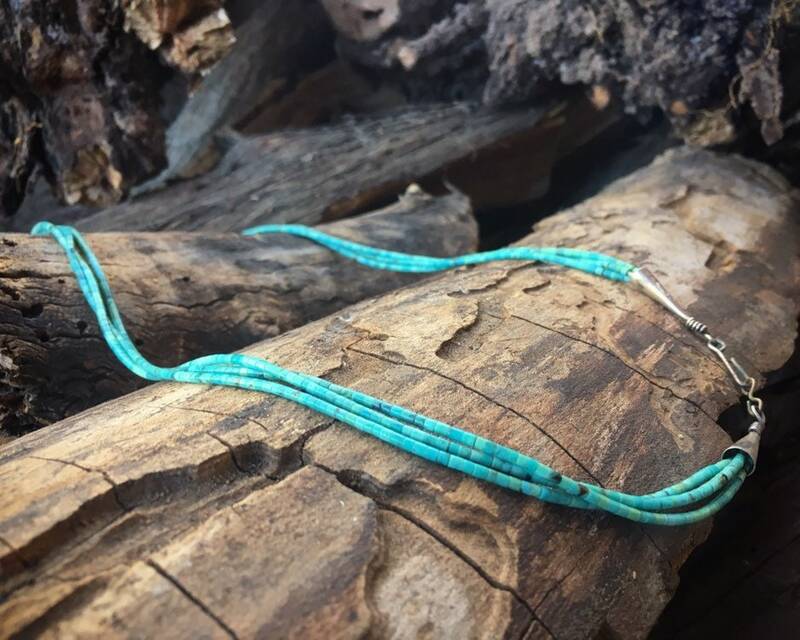 If you gently pull it through your hand, it should feel like a single serpent-like piece." It may look like it's done by a machine, but: "The truth is, if it seems exquisitely perfect, it was most likely made by the hands of a highly-skilled, extremely patient craftsperson." We estimate this piece to be circa 1950s and possibly 1940s. It would have likely been made in nearby Santo Domingo Pueblo. 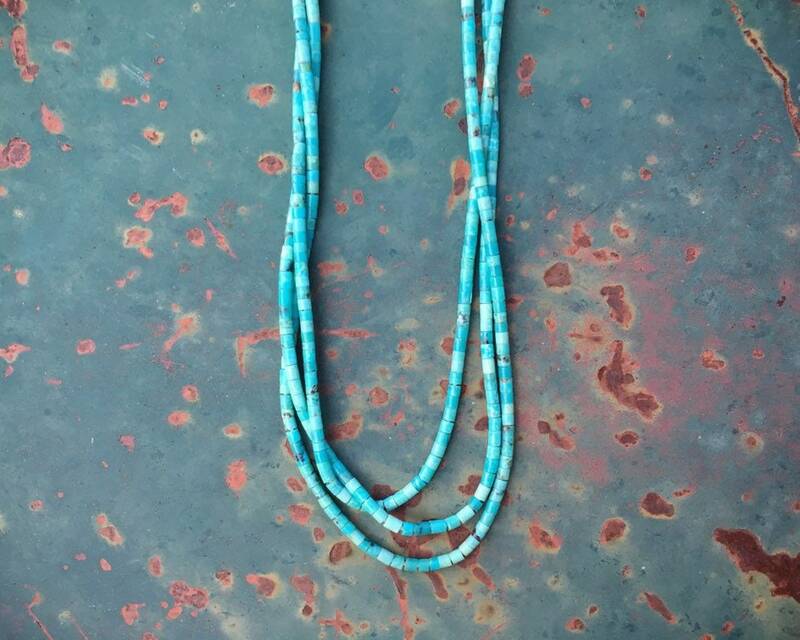 The turquoise strands measure about 24", including cones, and the strands are meant to intertwine so are slightly varying lengths. 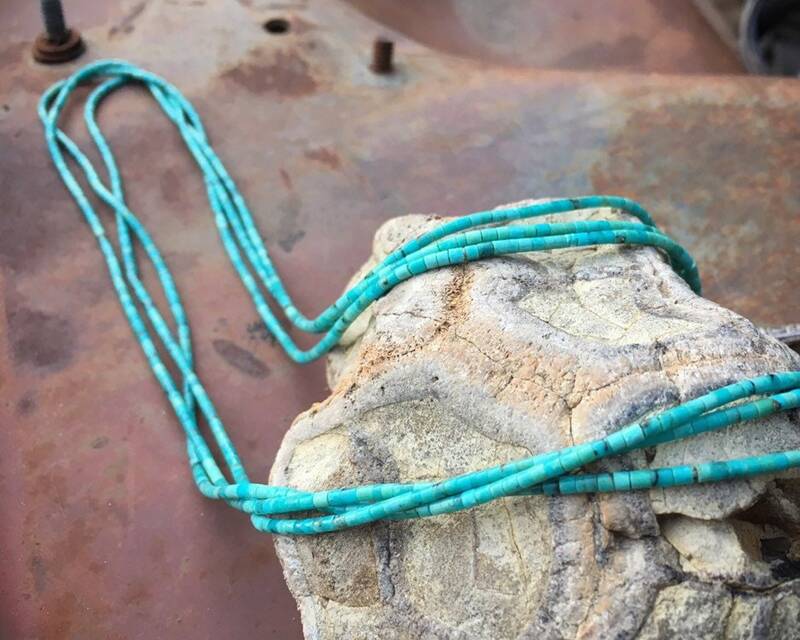 There are some spots where the twine shows toward the top, natural for an older piece where the material has stretched ever so slightly. 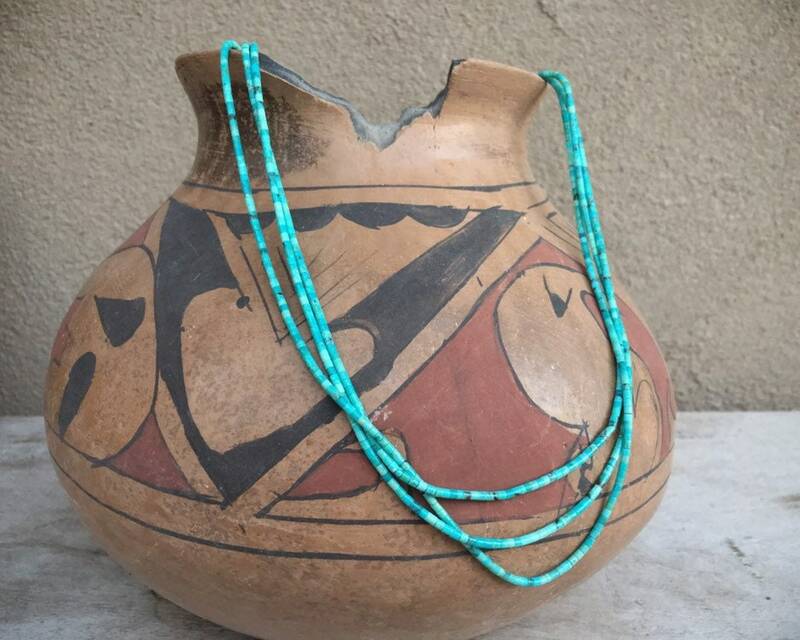 The heishi beads may have some small divorts but are in very good vintage condition. A rare piece, increasingly hard to find.